In the digital age, there is nothing more dire than an outdated website. New web visitors make snap judgements about a company based on their first web visit, from how long it takes the entry page to load to how easy it is to navigate. You want your website to absolutely wow them with a quick-loading, modern, and user-friendly web design or risk them bouncing and never coming back. Multi-regional housebuilder, Croudace’s website required a refresh as the previous iteration does what it says on the tin, but it doesn’t live up to the standards set by their homes. This redesign focuses on creating the ideal user experience both on desktop and mobile (responsive design) while conveying quality and experience. 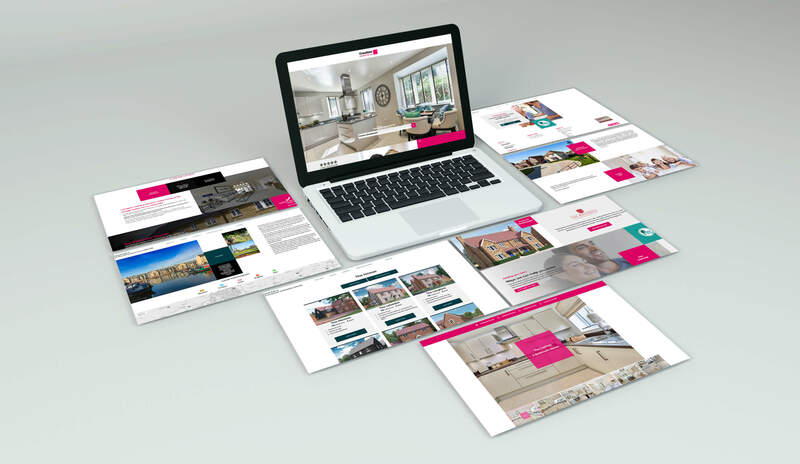 Our extensive housebuilder knowledge led to a website design that conforms to visitor expectations and puts the Croudace brand aesthetic front and centre. All websites (especially housebuilder websites) need to be engaging and inviting. We’ve ticked those boxes with substantial visual elements and pops of Croudace pink. This website was built internally by Croudace, while we’ve provided the design and ongoing support to assist with UX and UI needs.